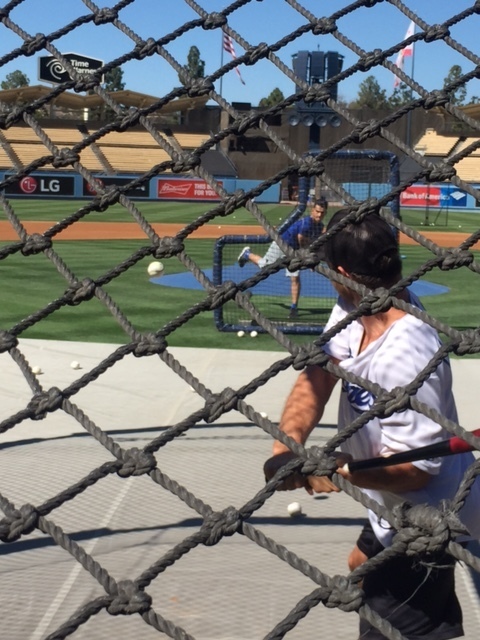 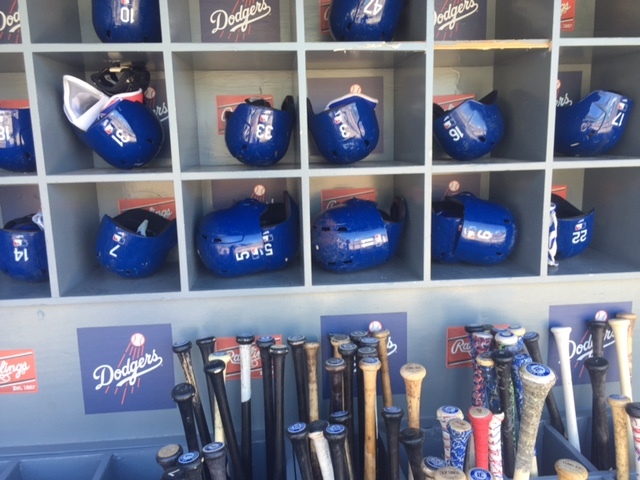 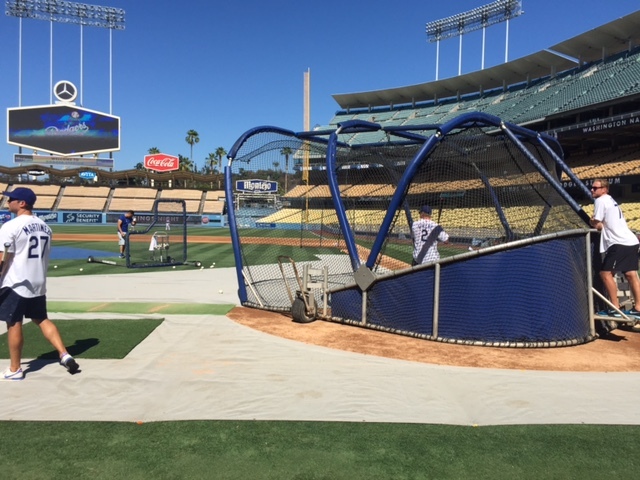 Good afternoon from the Dodger dugout, where Don Mattingly recently finished his pre-game media session and the Washington Nationals are going through their final cuts of batting practice. 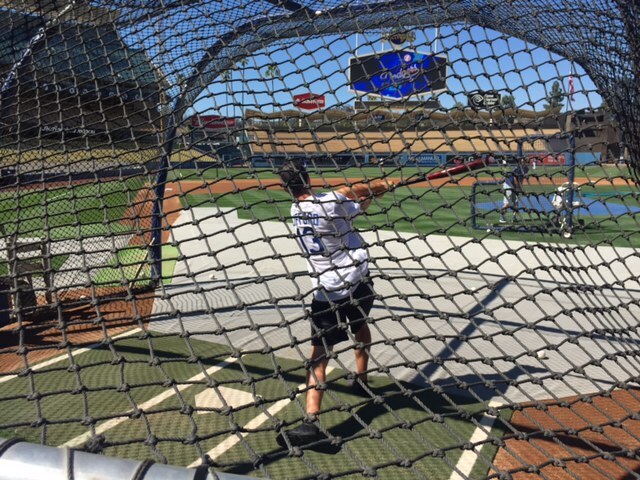 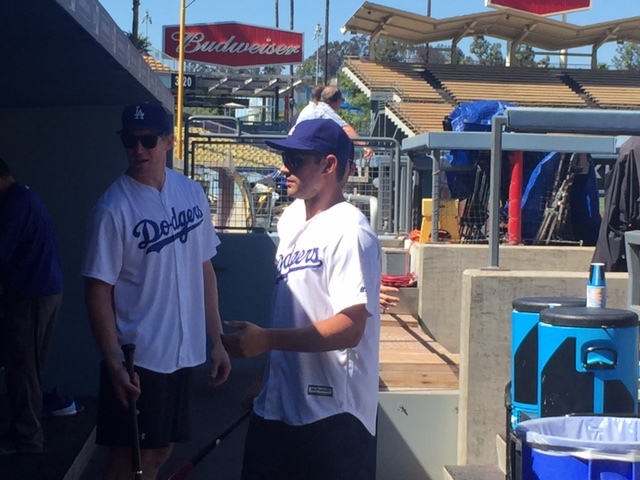 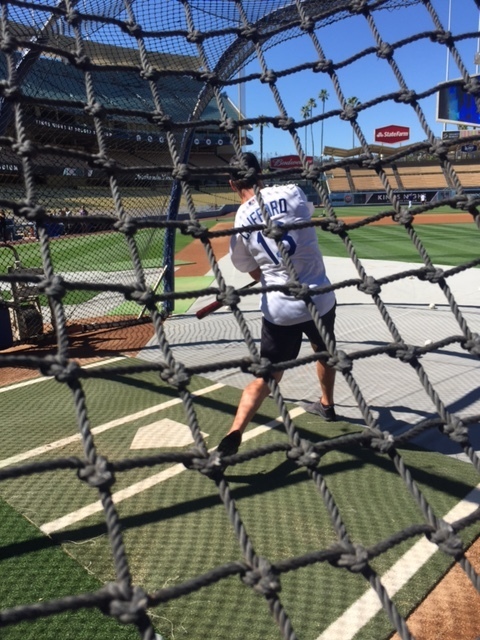 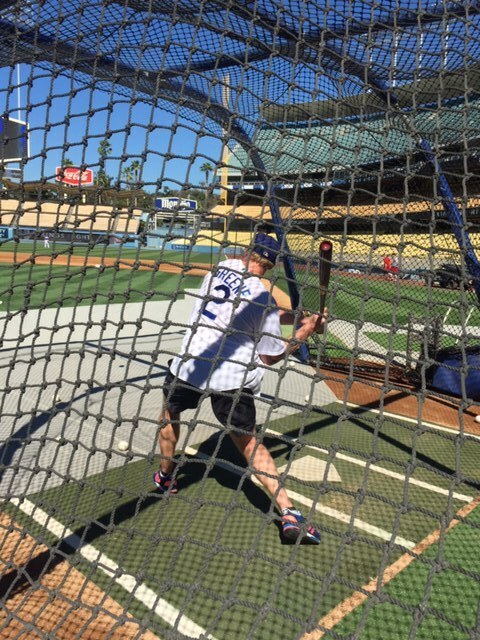 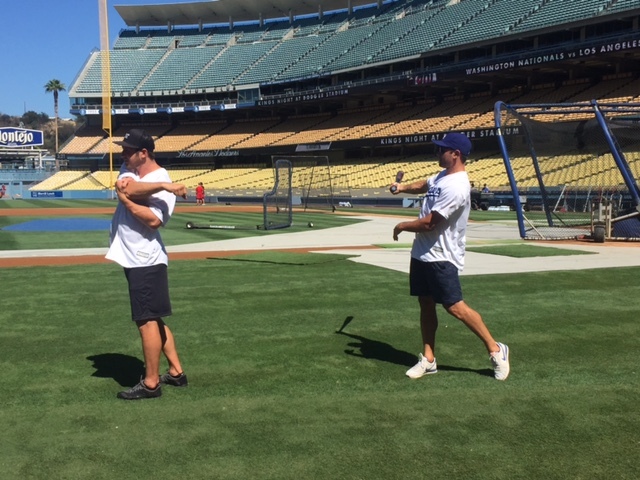 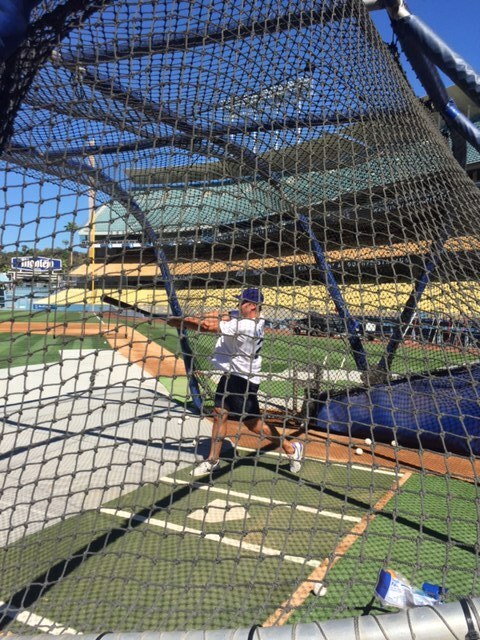 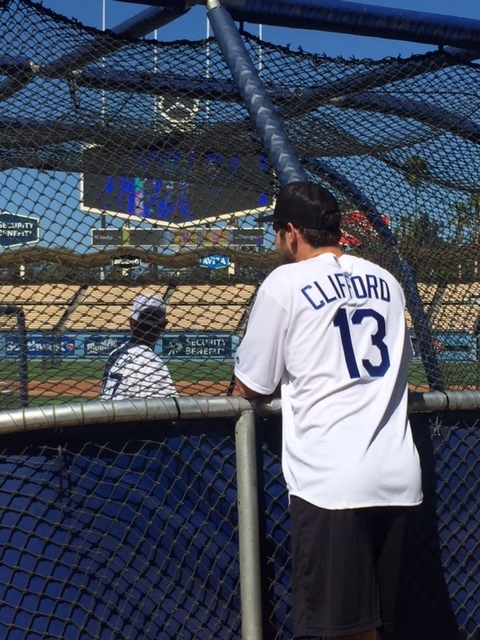 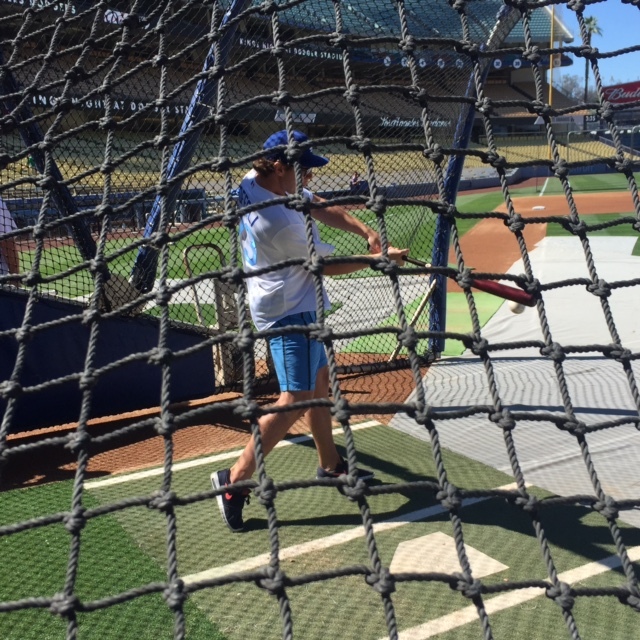 As the Dodgers trickled out onto the field, Matt Greene, Alec Martinez, Jeff Carter, Kyle Clifford and Tyler Toffoli took swings in the batting cage as part of the annual Kings Night at Dodger Stadium. 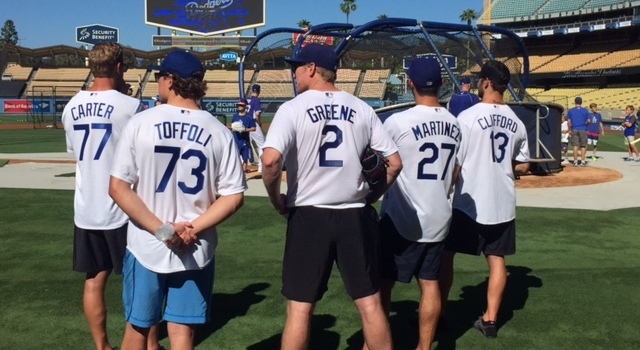 As each player took their cuts, several teammates shagged balls in the outfield – which resulted in a quality Greene running catch in left field as he took away what appeared to be a double when it left Toffoli’s bat.